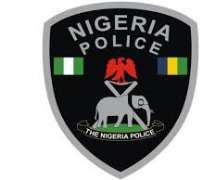 A man, Mr Orji Nzubechukwu, alleged to be the prime suspect in the kidnapping of Mr. Onos Agweretefe in Warri, has written to the Inspector General of Police, Idris, claiming that the Police in Ebrumede Division illegally broke his Asaba resident and looted his belongings. A source very close to the Police disclosed that Nzubechukwu, an Asaba based Automobile Mechanic who has been on the wanted list of the Police in both Ebrumede and Ekpan Divisions for alleged separate kidnapping cases has been at large since August this year. It was also gathered that two of his close relatives have been arrested by the police but were later released. On August 25th, Mr. Onos was kidnapped in Warri but regained freedom after allegedly paying some ransom yet his car was taken by the kidnappers. The police traced the car through the car tracker to a compound in Asaba which allegedly belong to Nzubechukwu just as another Lexus R350 belonging to one Mr Emiko also an alleged kidnapped victim was discovered in the compound. Nzubechukwu claimed to be the owner of this particular car but the police in Ekpan confirmed the Emiko case stating that “Mr. Emiko has identified and carried his vehicle, if he (Nzubechukwu) claim to be the owner, let him come and prove it” the source said. It was gathered that his Lawyer who has been allegedly making frantic effort to see that his client is not arrested had on several occasions approached the police to seek ways of resolving the case without Nzubechukwu being arrested. Our investigation revealed that when the IGP’s X-Squad team from Abuja arrived Asaba, he tactically avoid following them to Warri with a promise that he would join them up. On getting to know the true position of the case, the officers from Abuja have been making several efforts to locate the suspect who has now gone into hiding. The case has now been transferred to Force Headquarters Abuja for further investigation while the search for Nzubechukwu continues.